The Difficult Decision . . .
We know what an important and often difficult decision it is to choose a Dental Health Care Professional . . . That is why we share so many "Success Stories" we have collected over the years so that you will be absolutely sure you have found the right place---so that you will without a doubt know you are making a good decision and that this is the place for you! 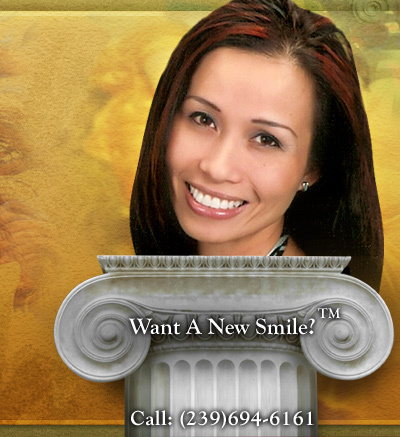 After all, what better recommendation can you get than the people who have actually experienced first hand what Renowned Cosmetic Dentist* Dr Ron Drachenberg and The SmileStudio Team serving Fort Myers, Cape Coral, Naples and all of Southwest Florida can do for you? Once you've had the opportunity to read for yourself The Smile Studio's Epic Success Stories Portfolio, we certainly hope you will have the confidence to pick up the phone and call so you may yourself benefit from the many special services that Cosmetic Dentist* Dr Ron Drachenberg & The SmileStudio Team has to offer . . .